Get the entire TONSTURM Library with over 250 GB of sounds and save 30% compared to single library purchases. Delivered on a hard drive and free shipping included. And 30% on all future Releases! And the best thing, if you buy "Complete", or "Complete +" you will get 30% on all Future Releases! (Discount applicable just on not already discounted Products. Do you already own TONSTURM libraries, but you are interested in the "Complete" or "Complete+" bundle? You can get 30% discount on the remaining libraries. Just drop us an email which libraries you already have, and we will send you a custom PO link. 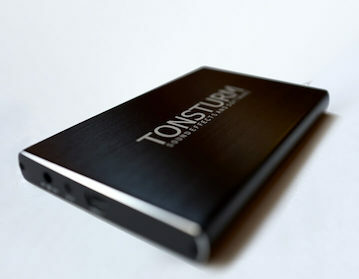 With the TONSTURM COMPLETE Package you get all soundpacks up to the date of purchase on a 3,5" mobile USB3 Hard Drive. Free shipping. With Complete+ you get all of these, PLUS the software! Reaktor NKS Not included, just in "Complete+"
Plugin Not included, just in "Complete+"